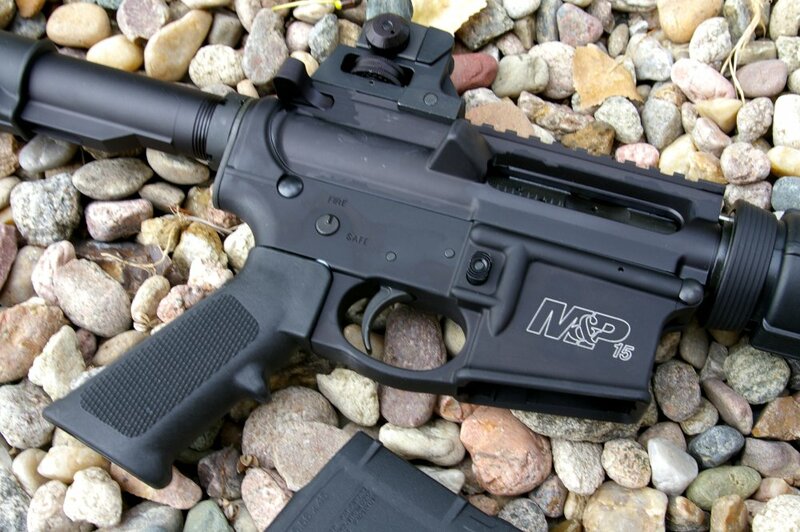 S&W never does any category half way and the M&P (Military & Police) line has been a huge hit for Smith and Wesson. At the core of the line are the S&W M&P15 rifles which provide an array of configurations to buyers. 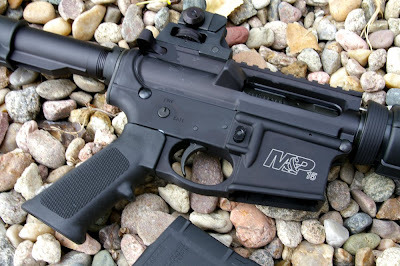 One of the big values I discovered in the Smith & Wesson line was the M&P15 Sport which has changed only the rear sights since I bought my rifle. Smith & Wesson has done a great job avoiding a “me too” AR line up with their own forgings and making almost every part in house. 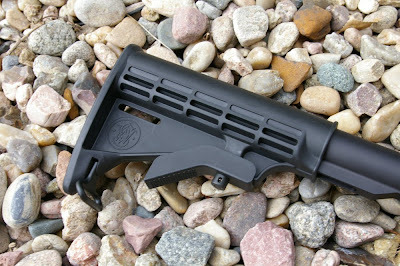 The end result of those design updates and in house manufacturing attention to detail is a tight upper to lower receiver fit and a great consistent finish across all the rifle parts. The Melonite coating on the barrel provides a really nice finish which makes the rifle look a lot more expensive that it is but primarily improves corrosion resistance of the rifle. S&W M&P15 Sport has delivered on a solid feeling rifle which somehow manages to scream quality even at this price point. Generally in value line rifles at this $600 street price quality suffers however this in the first “inexpensive” AR I have shot that is not a rattle trap and definitely feels like a more expensive rifle. 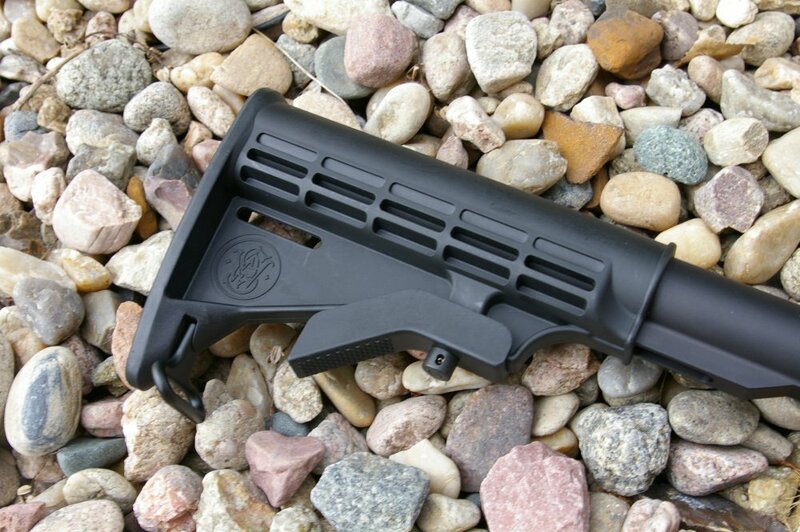 The S&W M&P15 Sport has the features of any basic AR15 with a few key upgrades. 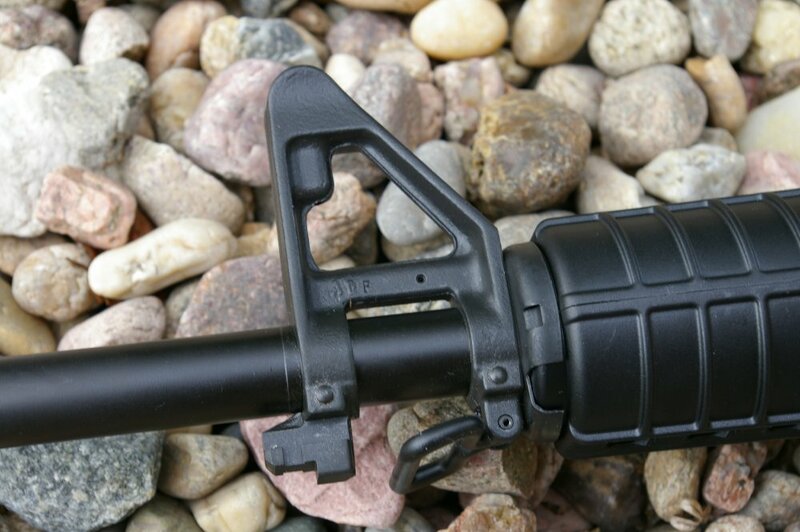 The rifle does not have a forward assist but many an expert has said that a forward assist is not needed on the modern AR. Personally I have yet to have the need for forward assist as if I have a round that does not chamber I simply re-chamber another round. The upgrades are surprising on the S&W M&P15 Sport and include a 30-round PMAG magazine, 6-position telescoping stock, chrome-lined gas key and bolt carrier, T-markings on the top picatinny receiver, proper staking of the castle nut and gas key, adjustable front sight and on the new model you will get a rear folding Magpul MBUS sight. 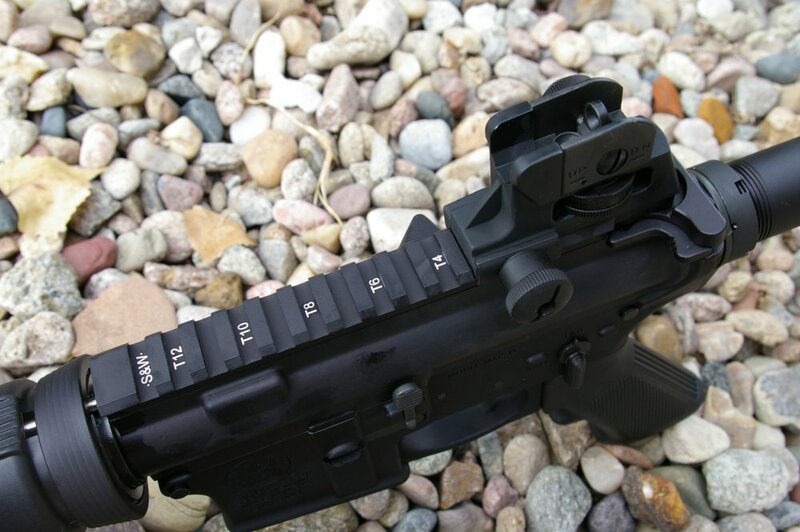 My older version had a detachable fixed rear sight. One of the more distinctive features of the lower forged receiver is the integrated enlarged winter trigger guard which beats doing the very popular winter trigger guard later on. 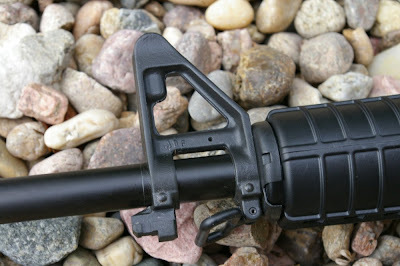 The barrel is unique in both the twist and rifling. One of the most in demand rifling twist for barrels is the 1:8 which equally stabilizes both light and heavier weight bullets. Typically this twist is found only on high end target barrels, so I see this as a huge upgrade over a standard barrel S&W could have used. The S&W M&P15 Sport 5R rifling itself is also unique and provides a rifling land profile somewhere between standard rifling and polygonal rifling. Although not proprietary to S&W, 5R rifling was developed in Russia and uses 5 lands and 5 grooves instead of the traditional 6 lands and grooves. The sides of each land are cut at a 65 degree angle versus a harsh 90 degree angle on standard rifling. 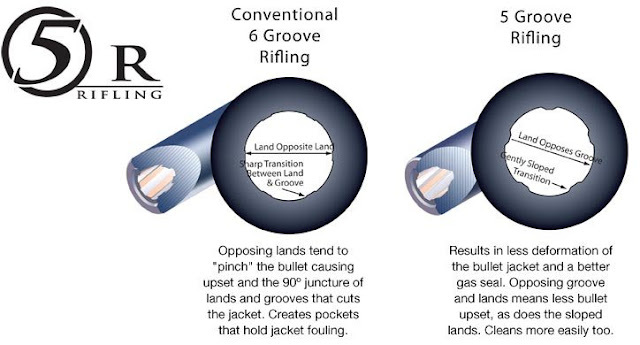 The benefits are less bullet deformation because the edges of each land do not cut into and deform the bullet jacket and potentially higher velocities. When the bullet jacket is less deformed, there will be less jacket fouling in the grooves. The results are better consistency of accuracy from shot to shot, greater bullet stability over multiple shots, and ultimately a rifle that’s easier to clean. A friend and I have run over 400 rounds through the S&W M&P15 Sport during a number of shooting sessions. No surprises here. The S&W was a perfect performer from the first magazine to the last and functioned as you would expect any quality AR15 to perform. 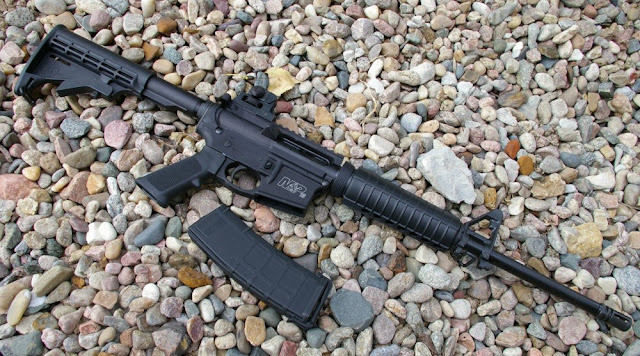 The specs on the S&W M&P15 Sport are impressive and matches those of rifles $300-$400 or more. Much of this value is due to Smith & Wesson’s commitment to in house manufacturing which delivers a street priced AR well below what other manufacturers can. My friend has fallen in love with the gun and actually prefers it to many of the more expensive ARs we have tested. One of those reasons is that dropping the forward assist and integrating the trigger guard trim the weight here and there to a very trim and light 6.45lbs which is very fast handling for a standard barrel profile. The S&W M&P15 Sport also great shooting gun with the 1:8 twist and 5R rifling. 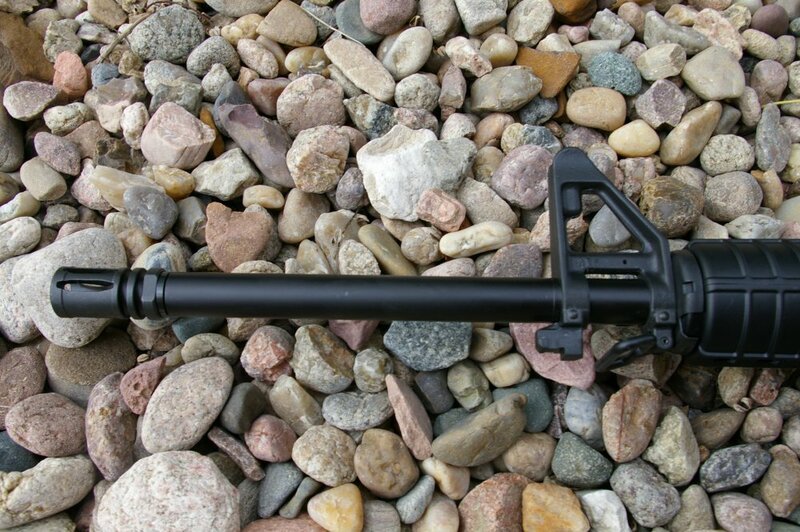 Add in the extras like chrome bolt carrier group, integrated trigger guard, and Melonite coated barrel and it is understandable why my buddy likes the S&W M&P15 Sport... it is just a great deal on a great shooting rifle with all the reliability of a high dollar AR. The S&W M&P15 Sport is one of the best buys on the market for someone looking for a quality reliable and accurate AR for any sport, defensive, or duty purpose. I am about to purchase one of these. I was so jazzed about the 1:8 twist your blog was mostly centered around. It's what made me want to buy this. I decided to ask S&W a couple questions today. This was their response. "The sport barrel has changed to a SAAMI 6-groove, 1:9 twist rifling and meets the same acceptance standards as the original 5R 1:8 twist rifling. 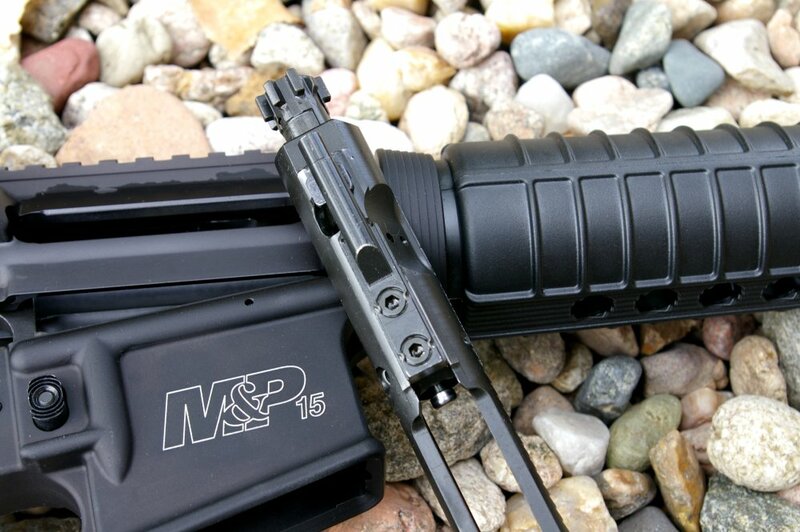 The 1:9 twist and groove pattern, which has been extensively tested by agencies and departments throughout the United States, is used on all M&P15 Sport models, as well as our law enforcement M&P15 models. The change was effective December 2012."